As I’ve discussed here before, I have a small (read as: MAJOR) DVD addiction. I can’t resist cheap DVDs. Used, new, ex-library… if I find it and it’s under $5 I’m very likely to buy it, whether it’s a film I love or one that I’ve never even heard of. This has led to many a blind purchase over the years — some of which have turned out great for me, and some of which I’ve ended up re-selling. The following are ten of my blind purchases that have turned out well, counted down in order of preference! 10. 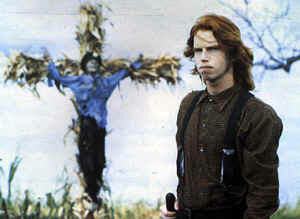 Children of the Corn – I went through a phase of horror film obsession in my teen years, and it was all kicked off by this all at once disturbing and hilarious classic of the ’80s. I found this for $2 at K-Mart, of all places, while on a camping trip. It remains one of my favorite horror/cheese flicks and has become part of the traditional late-October spook fest that I subject myself to every year. 9. Random Harvest– Some people consider this one of the most romantic films of all time. I wouldn’t go so far as to say that, but it is a very enjoyable film. I ordered it from the TCM Shop when they had it on sale for $5.99 in April, partially because I love Greer Garson and partially because I had heard good things about it. I recently posted a full review of the film, giving it a rating of 4/5 stars for the wonderful talents of Garson and the film’s ability to be all at once heart-breaking and heart-warming. 8. Alfie – This is one of those remakes that I constantly heard about but was extremely reluctant to watch. 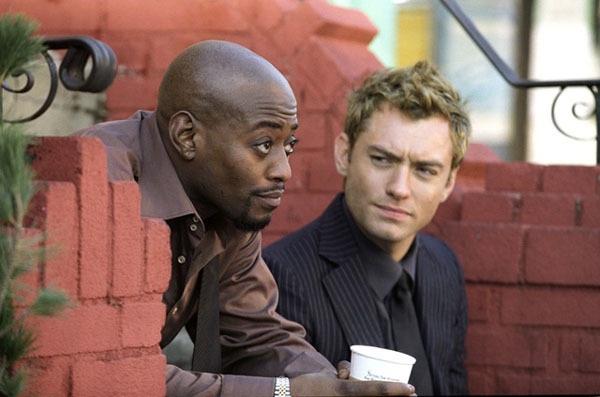 I had seen the 1966 film and couldn’t picture Jude Law in the role, much less carrying the film. But I was proved wrong! It’s a very solid remake. 7. Tempest – I had never even heard of this film when I stumbled upon it in a bargain bin at Best Buy, but I knew I had to buy it as soon as a I saw the cast. John Cassavetes! Gena Rowlands! Molly Ringwald! Susan Sarandon! The cast and the film as a whole did not disappoint. It’s a bit of a crazy piece of work and it won’t become the type of favorite that I re-watch once a month, but I’m definitely happy to have found it. 6. The Fountainhead – I bought this film through the TCM Shop. They were having a $5.99 sale (the same sale through which I bought Random Harvest), and I’d been wanting to watch this film since reading the book for comparison. It did not disappoint! Big drama, great performances. I posted a full review yesterday in honor of Gary Cooper’s birthday, so you can read my thoughts on the film there. 5. Love Story – I fell in love with the book version of this ’70s classic after stumbling upon it randomly at the library a few years ago, having no clue at all that a film version existed. I ended up finding the DVD for a very good price (I believe it was $3.99) at FYE one day, snapped it up because I loved the book… and then proceeded to let it sit on my shelf for way too long. After finally giving it a watch, I was impressed (and may or may not have shed a few tears by the end. Yes, I’m a sentimental sap!). I will always love the book version more, but I’m glad to have both of them to enjoy. 4. Happy Accidents – After attempting to watch this film on Netflix Instant while we were having network problems, I caved and bought a cheap copy at a local record store that sells used DVDs so I could finish watching it. I’m so glad that I did. I was impressed by the beginning of the film, which is why I went on the hunt for it instead of just forgetting it or waiting for the internet to become functional, but I still didn’t expect to enjoy it quite as much as I did. It’s such an underrated film, and I’m glad to own it! 3. The Long, Long Trailer – This was another impulse buy from the TCM Shop’s recent $5.99 sale and is definitely my favorite purchase from that haul! I was a bit disappointed when it arrived, because it comes in a very thin case that looks like it was taken out of a box set (and doesn’t look as good as a full size DVD case on my shelf). But packaging issue aside, I was still very excited to watch the film and it ended up being absolutely delightful. You just can’t beat Lucy & Desi! Read my full review of The Long, Long Trailer here, and view screen captures that I took from the film on tumblr. 2. Doris Day/Rock Hudson Collection – How, in all of my years of watching films, had I never seen a Day/Hudson film until I bought this collection in early 2012? It is quite possible that I was living under a rock, and I give every single reader permission to virtually slap me for this one. However, now that I have watched them, the three films included in this collection – Send Me No Flowers, Pillow Talk and Lover Come Back – have become serious favorites of mine. I bought this set around the same time that I bought It Happened to Jane, which also stars Doris, and effectively kicked off my obsession with her films. 1. Auntie Mame – This is, by far, the very best blind purchase I’ve ever made. Amazon was having a huge sale on classics, so I ordered it along with a few favorites that had been sitting on my wish list for eons. I actually had never heard of it before, despite the fact that Roz Russell is a favorite of mine. I somehow got it in my head that it was a musical – probably since I’d ordered it with three musicals – so I was both highly surprised and very pleased with what it turned out to be, which is a complete riot of a comedy. 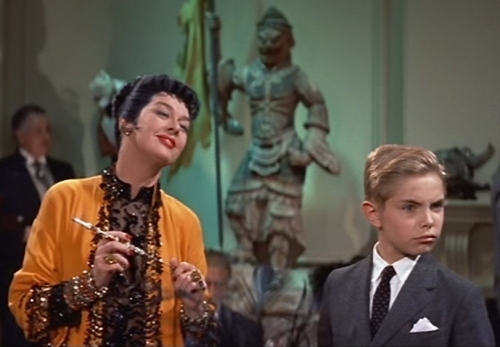 I simply could not be happier that I discovered Auntie Mame. It is, without a doubt, one of the funniest films I’ve ever seen. This is a great idea for a post. Thanks for sharing these finds! Thanks! I will probably be posting its counterpart (worst blind purchases) in the near future as well, but I’m not sure when. That list will be harder to come up with, since I’ve ended up at least somewhat happy with most of my blind purchases!